Peter Downes is a multi-awarded winning designer who specialises in difficult sites with spectacular views, anywhere in Australia. 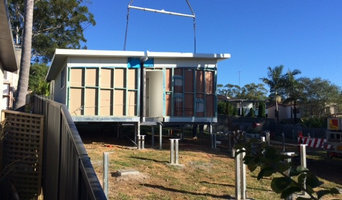 With over 20 years’ experience in modular building, Builtsmart has the skills and knowledge to manufacture high-quality buildings to all BCA and relevant standards. We are an Australian owned company and our product is proudly Australian made. Our buildings are built undercover in our factories and are quality assured by our construction specialists. All projects are 90% factory built ensuring the highest standard of quality control. Modular is a fast, easy design and construction process. We offer a practical and sustainable construction solution, without compromising the design or liveability. At Builtsmart, we have a comprehensive selection of energy efficient designs available. Alternatively, we offer a complete custom design service. Hilton Residential offers a comprehensive architectural and interior design service, innovative engineering solutions and proven building expertise. 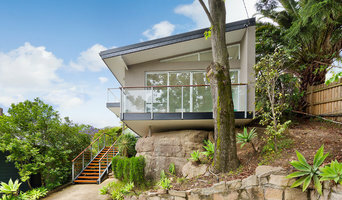 Specialising in granny flat design, residential alterations and additions, and renovations. Our services include consultation, design, architectural drafting of the final plans for construction, the preparation of all the required documentation for Complying Developments, and liaising with other professionals such as engineers and surveyors. A focus is on obtaining the best use of space on the site and in the home, along with passive solar design to reduce energy costs. Design & Construction Specialists I am a building designer with over 25 years experience in the industry. I'm currently running my own business (Kleyn Creations) .I have worked extensively in the Architectural Industry as well as Designing & Documenting over 80 houses & extensions personally. I use a drawing program called Revit which allows me the opportunity to provide 3D images as well as traditional documentation. As a leading Water, Wastewater, Hydraulic, Fire and Civil Engineering firm, LP Consulting Australia’s mission is to deliver its outstanding suite of engineering services Australia-wide. Our design work and project management skills are backed by our unparalleled technical advice and customer support. Trust, reliability, accountability and integrity form the backbone of each and every client relationship. Silver End Pty Ltd is a firm of building designers with a strong heritage. Serving our community over the years have allowed us to gain an expertise in a wide array of projects to suit the demanding 21st century of design. Our services include designing, drafting, interior design, urban design & planning, whilst satisfying the requirements of the Basix certificate. 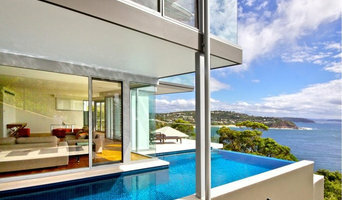 Silver End Pty Ltd is a multi-disciplinary design practice providing creative solutions for the built environment. Silver End Pty Ltd has a commitment to innovation and design excellence, and has an enviable reputation throughout the building industry for our high level documentation and detailing skills and services during construction. The strength of Silver End Pty Ltd lies in the ability and dedication of its people. Silver End Pty Ltd has a proven history of establishing strong relationships with our clients, working with them as a team to produce buildings of the highest quality, which reflect the functional needs of the brief. As a result, much of our work is repeat business from satisfied clients. Silver End Pty Ltd are well known and respected for our work across NSW and interstate, and we have the ability, track record and capability to confidently handle projects of all sizes and complexities. We pride ourselves on delivering genuinely exceptional, comprehensive service to our clients from project conception to completion. projects since 2007. We pride ourselves on delivering exceptional and comprehensive services to our clients from project conception to completion. Our repeat clientele is derived from treating every project as a genuine partnership through collaboration providing the desired outcome to achieve your dream. Through the three distinctive divisions within our company namely residential sector, commercial sector and property development sector we work as a cognitive team to deliver all of our projects with a high standard no matter how big or small the project is. Owned and directed by three brothers with a combined portfolio that ranges from Property, Construction & Finance and 20 years experience, we understand the entire process of building a new home. We pride ourselves on being a flexible builder and encourage you to customize our variety of innovative designs to suit your specific tastes and needs. Meridian provides diverse options in house designs and house & land packages and we can work with you to design your dream home. All our options are well considered to ensure value for money and quality are the top priorities. Ecoshelta have long been part of the sustainable building revolution and make high quality, architect designed, environmentally minimal impact, prefabricated, modular buildings, using latest technologies. 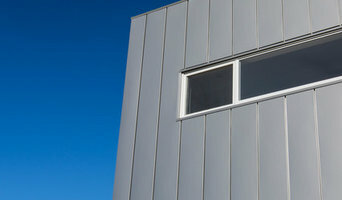 Our state of the art building system has been used for Cabins, Houses, Studios, Ecotourism Accommodation and Villages. They make beautiful spaces, the applications are endless, the potential is exciting. Precision Planning was established in early 2014, and is constituted of a team with over ten years experience dealing with the local councils of the Sydney Metropolitan Area. Our office is located in Artarmon (contact us to make an appointment) or for your convenience we also offer free initial onsite consultations within the Sydney Metropolitan Area.